It’s Mobile Swag Bucks Day! Fridays on Swagbucks.com means one thing: Mobile Swag Bucks Day! 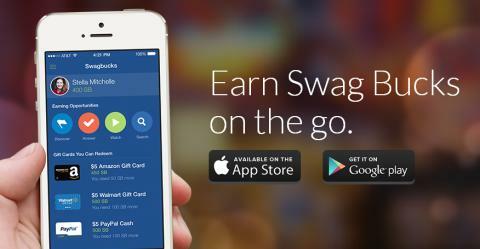 Don’t have the Swagbucks app? Is the app not available in your area? You can post your SB wins from the Swagbucks mobile site! Just take a screenshot of your win and share it on Swagbucks Facebook or Swagbucks Twitter including #MSBD and your swag name. Throughout the day they will randomly choose members and award them 25 SB!